Krauthammer: If Susan Rice Didn't Know Anything About Benghazi, "Why The Hell Are You Sending Her Out?" 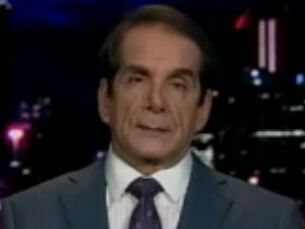 CHARLES KRAUTHAMMER: You called at it a show of passion, I would say it was his usual show of indignation, which is his default response whenever he feels defensive or backed into a corner. 'How dare you attack my U.N. ambassador?' And then he gives the strangest defense by saying she didn't have anything to do with the Benghazi [attack]. Then why the hell are you sending her out there? Why didn't you send out the Secretary of State, or the CIA Director, or [Secretary of Defense] Panetta or somebody, who did know? How can anybody pick on him or even question him, if he hadn't had a press conference in eight months? You know, he clearly hasn't been out there. He's been hiding behind inquiries, behind investigations, and now behind Susan Rice. But now I think he's out there, and he is vulnerable on this. I think he may regret having said that. Dan Rather: Republicans Need To Get Back In The "Fact-Based World"